When you think of two guys who have been synonymous with the WWE during their heyday, the name of Hulk Hogan and John Cena instantly come up. In fact, many have argued that Cena is the Hulk Hogan of this generation with his stay as the top star of the company, only equalling Hogan. 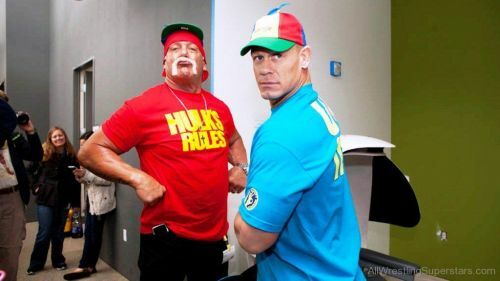 Hogan and Cena have become mainstream superstars and have unparalleled success inside a WWE ring. They are trailblazers in their own right and inspired millions all around the world. They have been an inspiration to young wrestlers trying to break into the business. Cena and Hogan's legacy and the kind of impact they have left on the business is unparalleled. While Hogan helped usher in the era of sports entertainment in the WWE in the early to late '80s, Cena has led the company to become a global giant in the entertainment as well as sports industry. While the Hulkster told the masses to say their prayers and take their vitamins, Cena brought with the message of staying resilient in adverse times, something which connected with the fans in a big way. Such has been their impact on the company that is impossible to imagine WWE without Cena and Hogan in it. 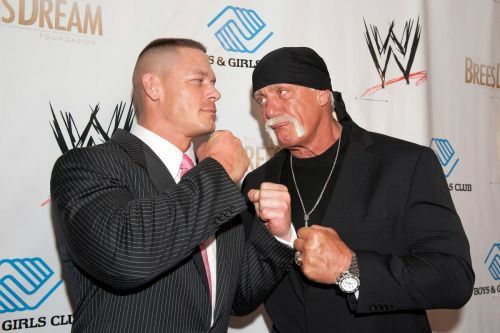 While Hogan helped Vince McMahon take his company to a nationwide audience, Cena was the driving force behind the company becoming a worldwide phenomenon. Being the poster boys of the WWE for as long as they were, it is only natural that both Cena and Hogan shared a very good rapport with Vince McMahon and are very close to the chairman of the WWE. This meant that both these superstars had a considerable amount of pull backstage due to their relationship with Vince and used their position to hold back younger talent from reaching the top during their heyday. Cena has time and time again been criticized for his role in burying younger talent and is known to be a backstage politician. Superstars like Mr. Kennedy, Tyler Reks and Alex Riley have openly spoken about how the 16-time World Champion ensured that they never got the spotlight they deserved. Cena seems to have redeemed himself in the latter part of his career putting over a younger superstar like Roman Reigns, Seth Rollins, Kevin Owens, and Dean Ambrose, although the stigma of burying younger talent will always be attached to Mr. Hustle, Loyalty and Respect. Hogan was notorious for being the biggest power-broker in the business during his time in WWE, WCW, and TNA. The Hulkster was known to be a backstage politician who would use his influence to hold back talent with whom he didn't get along. A plethora of Hogan's peers and colleagues have spoken about Hogan bullying them backstage, using his influence to hold them back and ruining their careers. Hogan was known to throw tantrums during his heyday, refusing to lose to a particular talent and ensuring that only people close to him got pushed. A classic example of this is WrestleMania IX where Hogan put himself in an impromptu match against Yokozuna to capture the WWF Championship.